UNStudio has completed a sprawling, flower-like campus for the 2014 Horticulture Exhibit in Qingdao, China. The Theme Pavilion consists of four metallic structures that stretch out over 300,000-square-feet and resemble a Chinese rose from above. And at the human scale, the metallic, undulating structures interact with their mountainous surroundings. 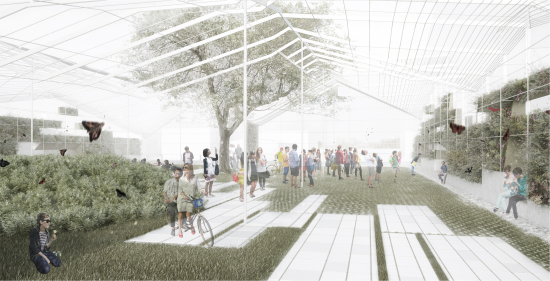 The Pavilion includes a media center, conference and performance space, and an exhibition hall that collectively anchor the Horticultural Exhibit, which runs through October. 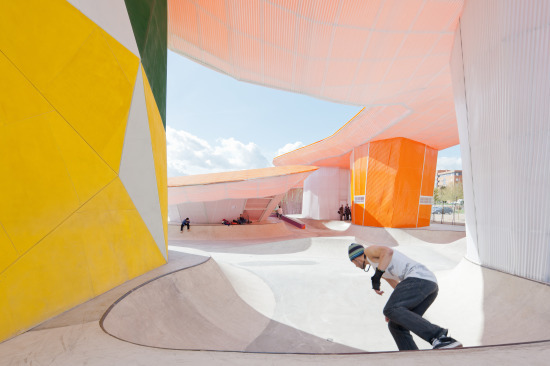 "The architecture of the Theme Pavilion further responds to the dominant skyline of the mountains surrounding the Masterplan by means of carefully composed roofscapes on the individual buildings,” explained UNStudio in a statement. “These roofs are envisioned as elevated landscaped plateaus, each addressing a different portion of the Masterplan with its inclination and terracing, providing panoramic views which extend far into the surrounding landscape." 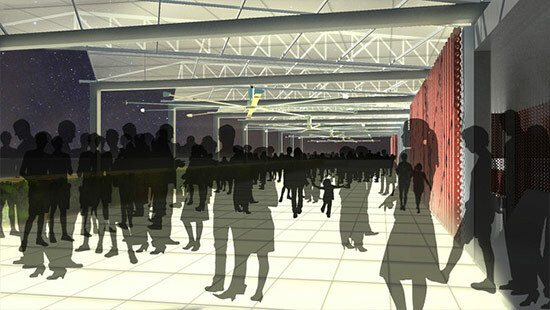 After the exhibition wraps up in the fall, the space will transition into a hotel, conference center, and public space. 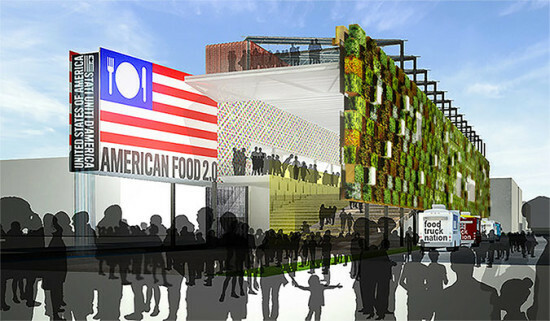 The MoMA PS 1 jury process that selected the “100 percent organic pavilion Hy-Fi” for its 2014 pavilion may have been a contentious group. 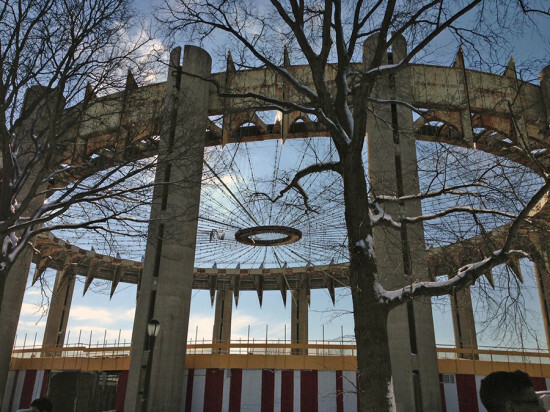 The museum announced last month that David Benjamin, the principal of Brooklyn-based firm The Living, would design the temporary structure. 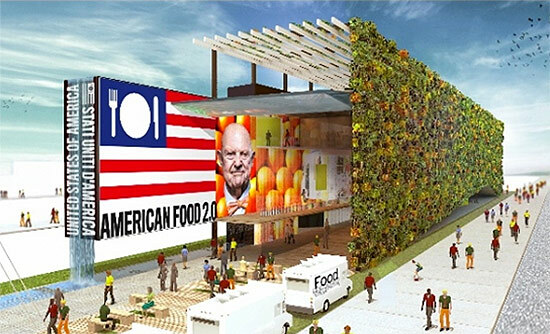 But several sources have told Eavesdrop that one of the short listed firms (Collective-LOK, PARA-Project, WOJR, over,under, Fake Industries Architectural Agonism, LAMAS, Pita + Bloom) was in fact told that it—not Benjamin—had won the design competition. 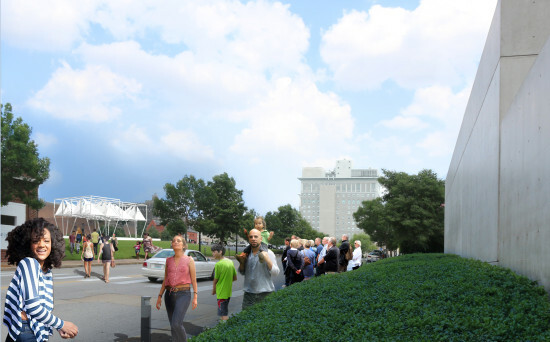 The architects were told to come to a PS 1 meeting to discuss moving forward as the winner, but after waiting for an hour they were told that a member of the jury was not there and the meeting could not take place. 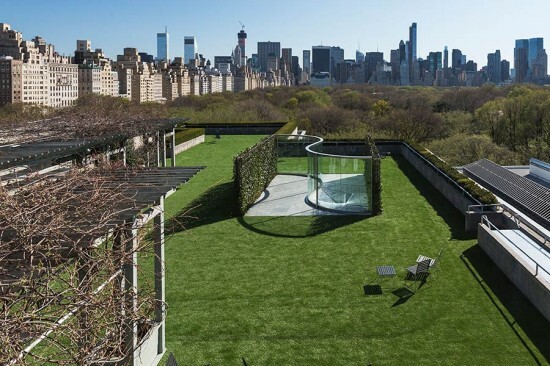 They waited patiently for another hour until they were asked to go home and wait—“don’t call us, we’ll call you.” Later that week, a MoMA official contacted the firm and told them that, actually, Benjamin and his firm had been selected as the winner of the coveted summer pavilion—oops, sorry. It was, of course, a devastating blow. 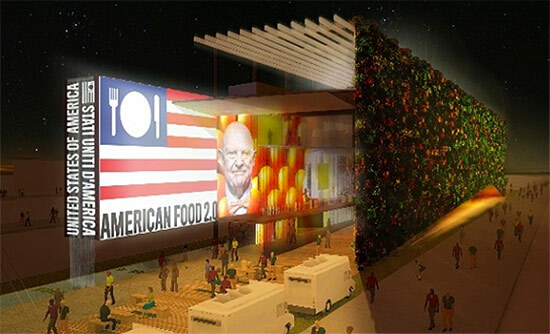 So devastating that the architects are not willing to talk about the episode. 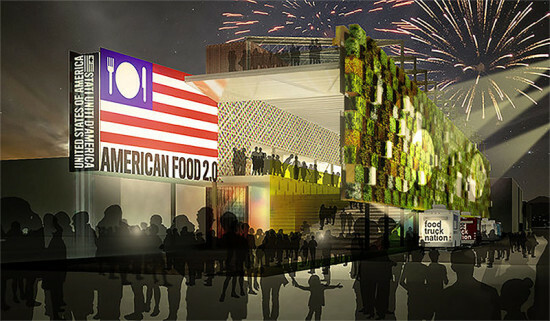 So MoMA will go forward with the “organic” brick pavilion. Benjamin employer Columbia University reported in its May 15 GSAPP newsletter that “Kanye West and GSAPP faculty member David Benjamin (M.Arch ‘05) are working on a ‘strictly confidential’ project.” Though other sources claim that this project involves a “new type of movie theater and 3D entertainment experience,” can we expect Benjamin’s partner to take part in PS 1’s usually rollicking summer party to inaugurate the pavilion? 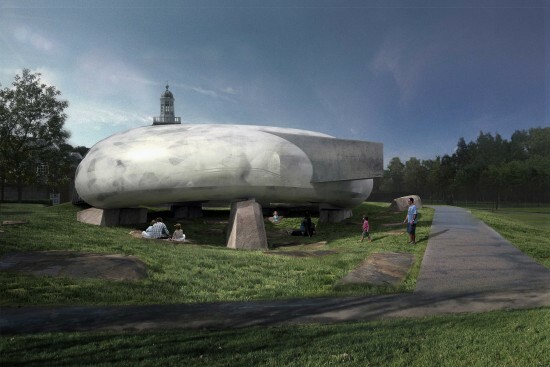 Chilean architect Smiljan Radic has been selected to design the 2014 Serpentine Pavilion in Kensington Gardens, England. 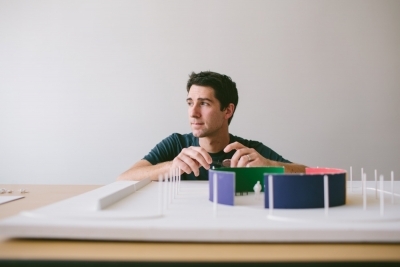 Radic is one of the youngest and least-known architects to receive this prestigious honor since it was first awarded 14 years ago. 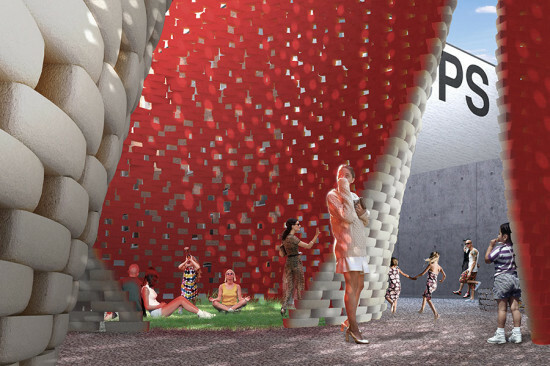 Plans for his pavilion show an expressive, cloud-like structure that will glow at night. 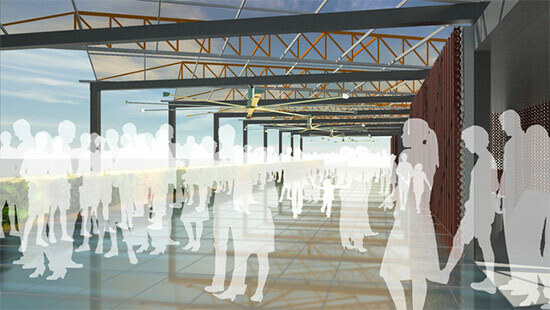 The space will also include a cafe, and on some summer nights it will become a stage for art, poetry, music, and film. 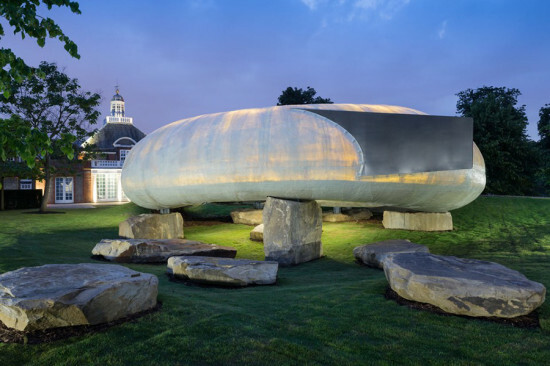 According to Serpentine Galleries, the structure’s translucent shell will “house an interior organised around an empty patio, from where the natural setting will appear lower, giving the sensation that the entire volume is floating. At night, thanks to the semi-transparency of the shell, the amber tinted light will attract the attention of passers-by like lamps attracting moths.” The pavilion will be open from June 26t to October 19th. 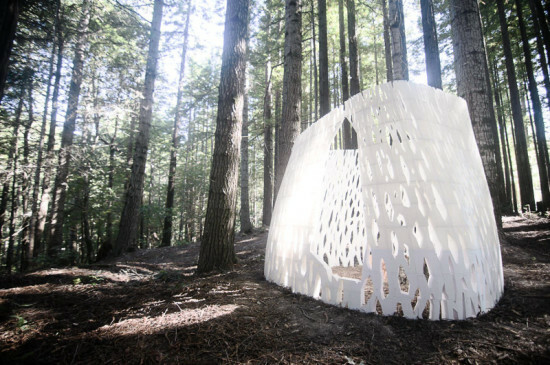 Smith|Allen's 3D-printed forest refuge is inspired by the site's patterning and historical cycle of deforestation and regeneration.